Trump SoHo: A Shiny Hotel Wrapped In Glass, But Hiding Mysteries Trump SoHo, which soars with glass panels, is far from transparent. Its back story — a murky source of funding, a developer with a criminal past — may shed light on how Donald Trump did business. In December 2006, workers broke cold ground in lower Manhattan, preparing the way for a glass-clad, towering hotel, to be called Trump SoHo. There, just west of the South of Houston Street neighborhood, the backhoes dug down. They hit hundreds of bones: human skulls, femurs and forearms. Turns out, the site had once held the 19th-century burial vault of a church known for its abolitionist stance and inclusion of African-Americans. The hotel developers — including a little-known company called Bayrock Group — suddenly owned an American historic site. Church archivist David Pultz says Bayrock officials stalled DNA testing for years. "My suspicion was they were trying to avoid controversy" that might bring more scrutiny, he said. In fact, at Trump SoHo, a lot remains unknown, including the project's true source of funding. But now the man whose name brands the hotel — Donald Trump — lives in the White House. And his financial ties reportedly are being investigated by Department of Justice special counsel Robert Mueller in connection with a larger probe into possible ties between Trump's 2016 presidential campaign and Russian officials. Note this: In a lawsuit, Bayrock's former finance director Jody Kriss portrays the firm as a money-laundering operation, used to conceal transfers of illicit funds and disguise them as legitimate real estate transactions. He also alleges that cash infusions from overseas were fraudulently portrayed as loans to help the firm's principals evade taxes. "Tax evasion and money laundering are the core of Bayrock's business model," the lawsuit alleges. 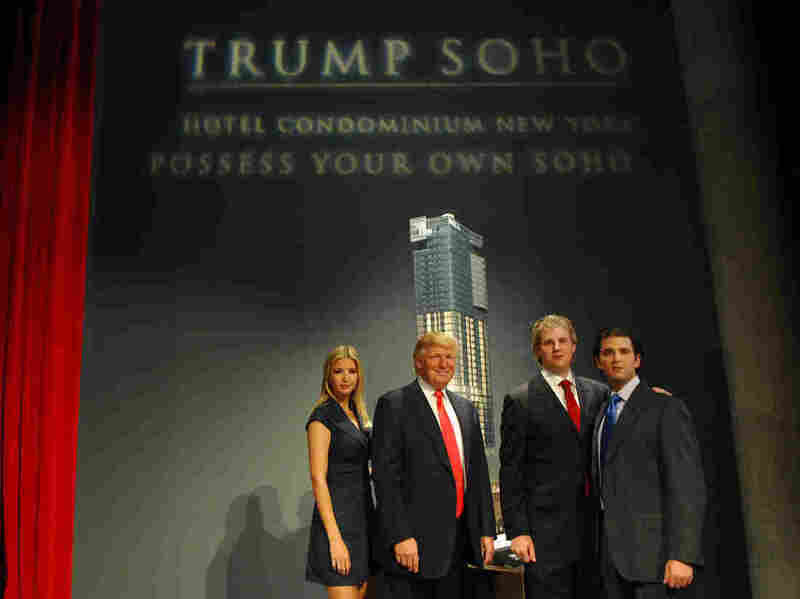 And the Trump SoHo building, it said, was "a monument to spectacularly corrupt money-laundering and tax evasion." Bayrock has denied money-laundering allegations; the company's spokeswoman declined to comment for this story. The White House referred all questions about Trump SoHo to the Trump Organization, which did not respond to multiple inquiries. Mueller's team reportedly is specifically looking into money laundering in New York City real estate. That investigation — along with the discovery process of various lawsuits — may help uncover information about the business back story of the man whom Americans have elected president. And the NPR podcast Embedded also has been digging around, trying to understand more about one Trump signature project. Here's what the reporters learned. With much fanfare, Trump announced the project on his TV show, The Apprentice, in 2006. Throughout the years, the project kept making news, what with the bones, a heated standoff with the neighborhood and the grisly death of a construction worker. And lawsuits started to hit, alleging fraud and shady financing. Donald Trump announces Trump SoHo on the Apprentice in 2006. The early zoning battles set the tone: Residential properties weren't allowed in the neighborhood where the property was proposed. Local activists confidently predicted zoning problems would kill the 46-story project. But city officials allowed the building to go up as a condo-hotel hybrid. Units were sold like condos, but owners could stay only a few weeks at a time, totaling about four months annually. For Trump, it was a licensing deal: The developer would get use of Trump's name, and Trump would get fees for managing the building. And in a legal deposition, Trump said he also got an 18 percent equity share of the building. In a New York magazine article, Trump says the idea for the Trump SoHo was presented to him as "a complete proposal" by one of the two developers, Bayrock and the Sapir Organization. The former had been launched several years earlier by two Soviet-born immigrants, Tevfik Arif and Felix Sater. The latter was part of a New York real-estate empire started by Soviet-born financier Tamir Sapir and his son Alex. As it turned out, selling the New York condo-hotel to U.S.-based buyers was tough; the "non-residential" designation meant they couldn't qualify for mortgages, says Ruedi Sieber, a broker who at the time worked for a firm selling the Trump SoHo units. "You could only do cash deals," Sieber said. "So unless the guy had a million and a half in cash to purchase the property, he couldn't buy it because no bank would give you a loan." In fact, Trump SoHo sales went a lot better with wealthy buyers in Latin America, Europe and the former Soviet Union. The pitch was simple, Sieber says: You could own a piece of real estate in Manhattan, with views of the Hudson River with five-star service. Trump's Apprentice fame helped. But then, the Great Recession hit New York real estate hard, and some of the Trump SoHo's condo buyers began getting cold feet. They turned to Manhattan attorney Adam Bailey to try to get back their money. As Bailey investigated, he and his team zeroed in on the way the Trump SoHo was marketed as almost sold-out. In media interviews, Ivanka Trump, Donald Trump Jr., "a Trump representative" and other officials had been saying that 60 percent or "more than half" of the building's units were already sold. But documents found by Bailey's team indicated the total sold was not quite 16 percent. "I'm like, 'This is fraud. Done,' " he said. 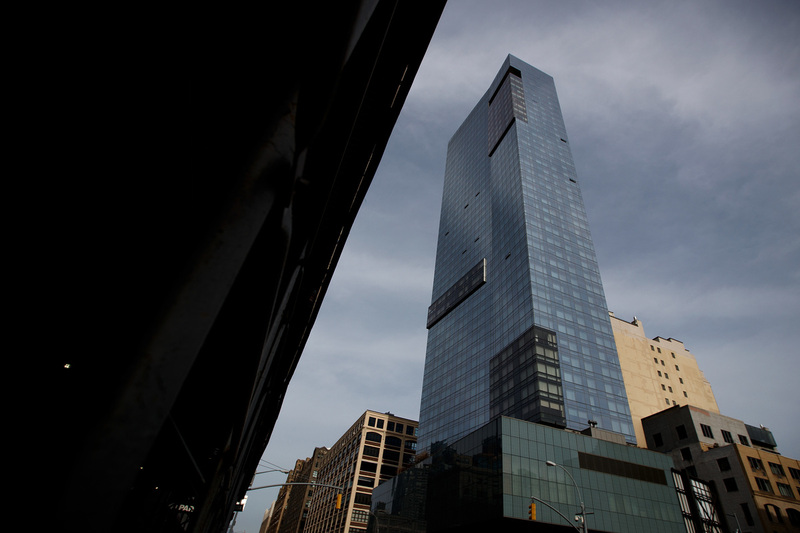 Trump SoHo Hotel Condominium looms over its neighborhood of Hudson Square in lower Manhattan. As Bailey pursued his civil suit, he also sent evidence of possible criminal issues to Manhattan District Attorney Cyrus Vance Jr.'s office. He says prosecutors there were "very interested" and "started working on it." With that investigation going on, the developers and Trump — who has long boasted that he never settles lawsuits — agreed to settle Bailey's case, refunding the buyers 90 percent of their money and paying legal fees, but without admitting any wrongdoing. Bailey and his clients signed a nondisclosure agreement barring them from discussing any evidence of criminal fraud. Without cooperating witnesses, Vance dropped the criminal case. A recent investigative series by WNYC-FM, ProPublica and The New Yorker said some prosecutors in Vance's office wanted to proceed with the case but were blocked by Vance. The news stories also indicated that Trump attorney Marc Kasowitz had made two five-figure donations to Vance's campaign in 2012: one that Vance received and soon returned before dropping the case; another one Vance received, and also returned, after the case was already dropped. Vance has publicly insisted he dropped the case only because the evidence was insufficient. If it had gone forward, the investigation might have provided some answers to questions — such as, why did Trump, who'd had a string of bankruptcies, suddenly get a generous offer from Bayrock? In a legal deposition, Trump once tried to explain it: "We had a tenant in the building, in Trump Tower, called Bayrock, and Bayrock was interested in getting us into deals and we — somebody from Bayrock, I'm not exactly sure --came to see — either myself or one of my children ... about doing this job." The "job" required no investment from Trump, but could potentially funnel millions his way for the use of his gilded brand name. Trump agreed to it: The Trump Organization would collect fees for managing the building, and son Donald Jr. and daughter Ivanka would manage the marketing and sale of its residences. Today, the history of the financing and construction of Trump SoHo is reportedly one of the subjects under investigation by Mueller. 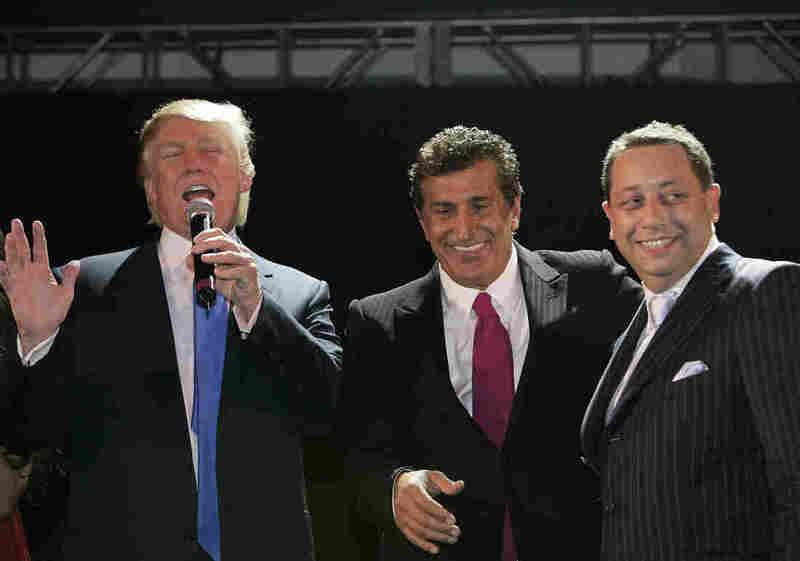 The SoHo deal may help explain possible financial ties connecting Trump to Russian associates involved with Bayrock, founded by the Soviet-born financier Arif, who acquired a chromium plant in Kazakhstan and became one of the country's wealthiest men. At his side was Sater, born in Moscow, raised in Brooklyn and known for a checkered past. In the 1990s, he did time in prison for stabbing a man in the face with a broken glass during a bar fight, and later pleaded guilty in connection with a securities fraud scheme, which allegedly was aided by the Italian Mafia. But Sater would also become a valuable cooperating witness for the U.S. government, helping it convict mob figures for financial-fraud crimes and even earning praise from Attorney General Loretta Lynch. In various legal depositions involving Bayrock, Sater was usually described as someone whose job was to raise money for the company. To build the Trump SoHo, Bayrock would team up with Alex Sapir, the son of billionaire Tamir Sapir, who was born in the Soviet republic of Georgia and grew rich in the fertilizer and oil businesses — and later in New York real estate deals. (The senior Sapir died in 2014). Today, much of what's known about Bayrock and its financing comes from various lawsuits filed against the firm. One suit was filed by the former finance director Kriss, who joined the firm around 2001. His suit claims he was owed money by his former company, which he describes as "spectacularly corrupt," running on cash infusions from overseas and dodging taxes. Bayrock and Kriss are currently in settlement talks. Sater did not return requests for comment, and his attorney said the Kriss lawsuit was meritless. How much did Trump know? On Dec. 17, 2007, the New York Times published an article that detailed Sater's criminal past, as spelled out in a then-sealed criminal complaint. Sater said he was a changed man, telling the Times, "I am not proud of some of the things that happened in my twenties. I'm proud of the things I am doing now." The article would raise legal questions for Trump. When a principal at a firm has a felony conviction, investors are supposed to be told about it. Trump told the Times he knew little about Sater. "We never knew that," he said about the report of Sater's financial crimes. "We do as much of a background check as we can on the principals. I didn't really know him well," he said. In 2013, Trump told the BBC, "We were not the developer there. It was a licensing deal... a very simple licensing deal ... You're telling me things that I don't even know about." As the interviewer followed up with more questions, Trump abruptly stood up to leave. The BBC's John Sweeney asked Donald Trump about Felix Sater in 2013. Trump's effort to portray himself as barely involved with the Trump SoHo has been challenged over the years. "Donald was always in charge," Kriss recently told Bloomberg. "Donald had to agree to every term of every deal and had to sign off on everything." Likewise, questions have been raised about Trump's claim that he barely knew Sater. In a lawsuit deposition in 2007, Sater testified that he knew Trump, and when asked whether he had ever been in Trump's office alone with him, Sater replied, "numerous times." In 2010, long after the Times article, Sater was passing out business cards identifying himself as "a senior adviser to Donald Trump." In a 2016 interview with a Russian publication, Sater spoke about being Trump's adviser until about 2011, saying he "reported everything" to Trump, "sometimes twice a day, sometimes twice a week, sometimes twice a month. And like that, for 10 years." In 2015, Sater sent an email to Trump attorney Michael Cohen boasting of his ties to Russian President Vladimir Putin and proposing a new Trump real estate deal to highlight the candidate's negotiating skills, the New York Times reported. "Our boy can become president of the United States, and we can engineer it," Sater wrote. To Bloomberg reporter Tim O'Brien, who has written extensively about Trump, Sater's apparent proximity to the president raises important issues. "The question that hangs over all this for me is, why is Donald Trump associating with someone like this?" he asks. "And why is he still in Trump's orbit after he got elected?" Somewhere deep inside the history of Trump SoHo, those answers may still be buried. 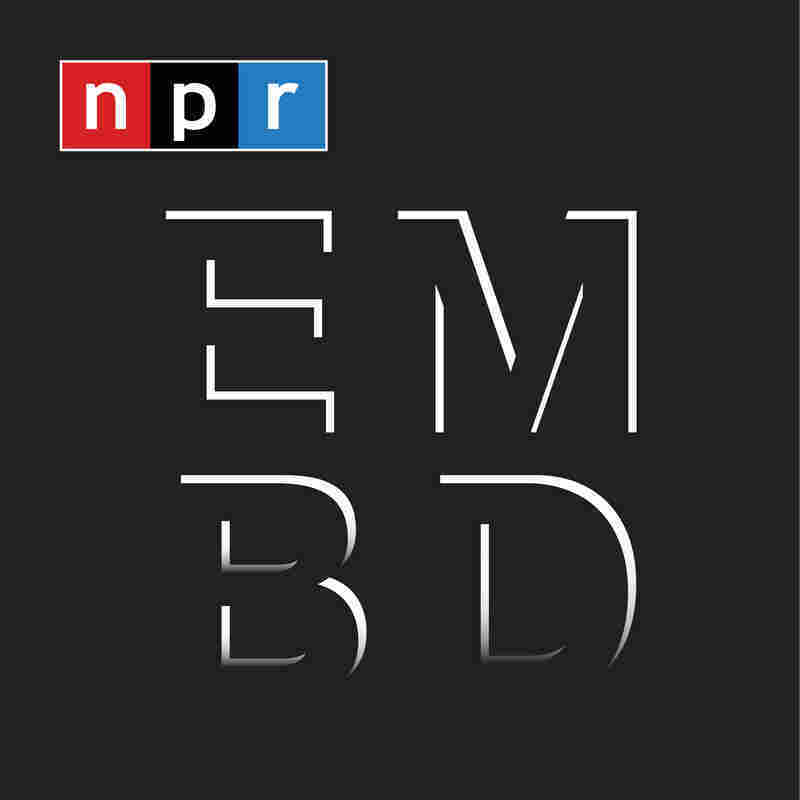 NPR's Chris Benderev, Kelly McEvers, Marilyn Geewax, Investigations research librarian Barbara Van Woerkom and Business Desk intern Mollie Simon contributed to this report.